Xtreme Drilling and Coil Services recently unveiled the XSR200, a land coiled-tubing well intervention unit with a depth capability of 23,500 ft. 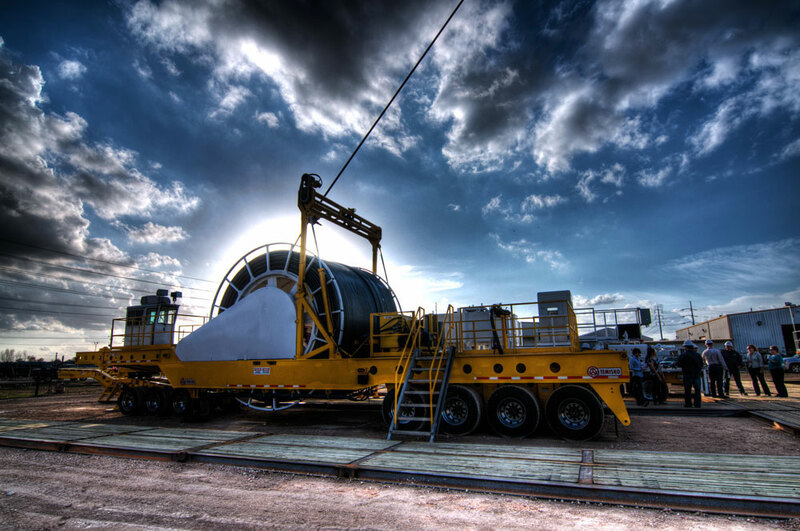 According to the company, it is the world’s largest such unit for land operations and was designed to aid North American operators as they push horizontal drilling to record lengths in shale plays such as the Bakken and Eagle Ford. Xtreme Drilling and Coil Services designed the XSR200 to help operators push out further in land wells. “Right now most of the units in the market can only get to about 14,000 ft or 15,000 ft. (We wanted to) go attack these long horizontal wells that they’re doing in the US,” Tyson Seeliger, vice president of sales and marketing for Xtreme Drilling, said at the unit’s debut last month in Houston. With the XSR200, which uses 2 5/8-in. 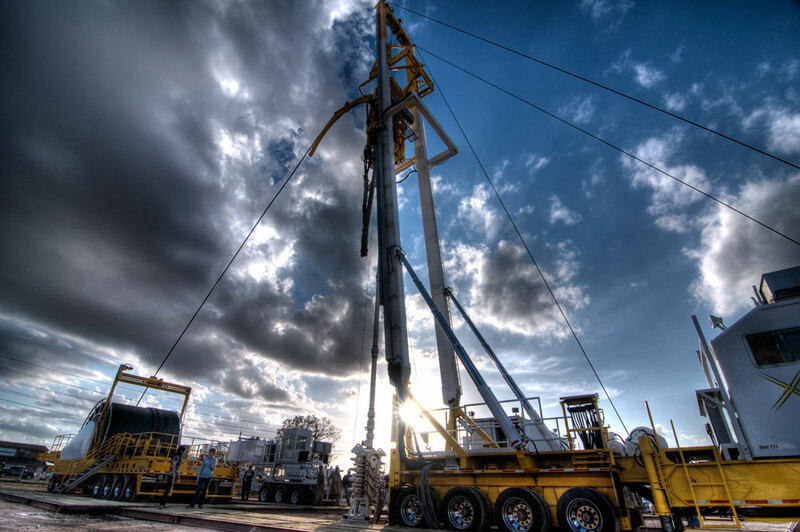 coil and has an 86-ft mast, Xtreme Drilling has been able to remove the surface equipment limitations of conventional coiled-tubing units and allow for the completion of deeper wells. The XSR200 has an 86-ft mast to enhance the depth limits of conventional coiled-tubing units associated with surface equipment. The unit’s design evolved from multilateral re-entry work that Xtreme Drilling has done with Saudi Aramco using drilling rigs. “Because we were involved in drilling with coil and with pipe, we used some of the same technology and ideas that we had from that and applied it to this rig,” Mr Seeliger said. The company also chose to go with AC rather than hydraulic power for the coiled-tubing unit to provide more flexibility and smoother control. PLC controls also allow for more automation to be built in, such as speed and depth monitoring. “There’s so much that the computer is looking out for you for. When you went out yourself, you physically had to make sure everything you had was right. 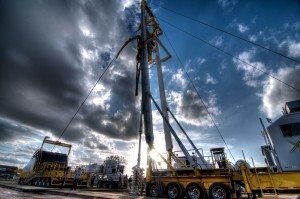 Now, 90% of the checklist is done by the rig,” Mr Layden said. Xtreme Drilling has built five XSR200 coiled-tubing units in Calgary, Canada. Except for the one launched in December, which the company expects to deploy to South Texas by mid-January, the other four units are still waiting for pump packages that have a 10-month lead time. “There’s a real shortage of pumping equipment, with the frac industry the way it is. A lot of operators are in the same bind. They can’t get their rigs finished,” Mr Layden said. Built for the most aggressive well depths the company could find today, the XSR200 has the ability to carry out well completion/intervention activities as deep as 23,500 ft. The company has upsized the pumping equipment on the XSR200’s, with two 1,000-hp units that they plan to run at only 600 hp. “We sized the pumps up so we could run them at their continuous rating rather than at their intermittent rating. We took more of a drilling rig look at the equipment that way; overbuilt but hope to get the longevity,” My Layden said. 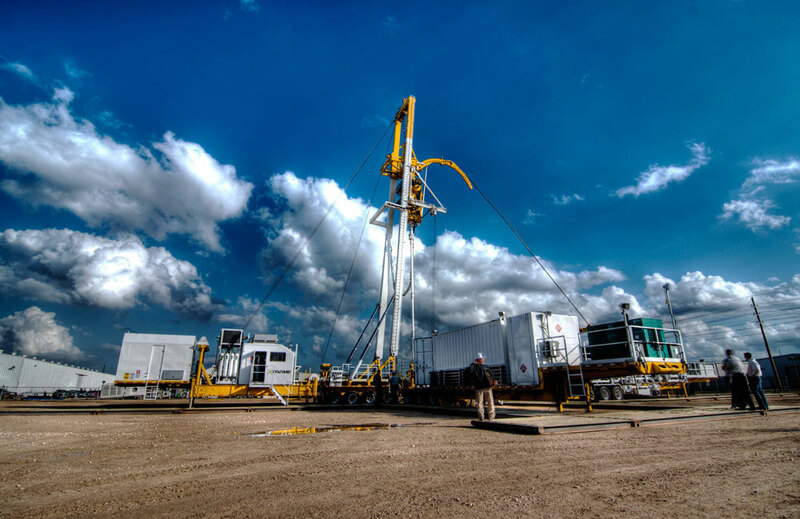 Pump shortages may be slowing down the completion of these units, but an even higher hurdle in today’s well intervention market is finding qualified personnel to operate them. “I don’t think we’ve come to (our biggest challenge) yet. It’s going to be people; qualified, skilled, reliable people. Pumps are hard to get, but I think good people are even harder,” Mr Layden said.